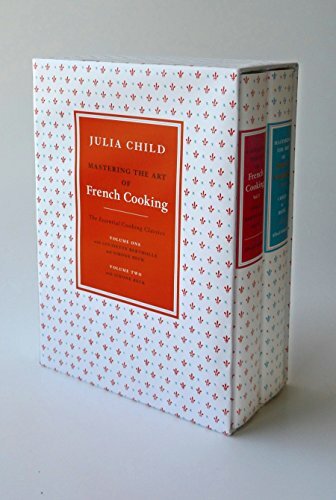 9780307593528, titled "Mastering the Art of French Cooking: The Essential Cooking Classics" | Slp edition (Alfred a Knopf Inc, December 1, 2009), cover price $99.95 | also contains Mastering the Art of French Cooking | About this edition: The perfect gift for any follower of Julia Child—and any lover of French food. 9780375413407 | 40 anv rei edition (Alfred a Knopf Inc, October 1, 2001), cover price $40.00 | About this edition: Explains for the novice American cook the special ingredients and cooking techniques involved in preparing the wide variety of French dishes featured. 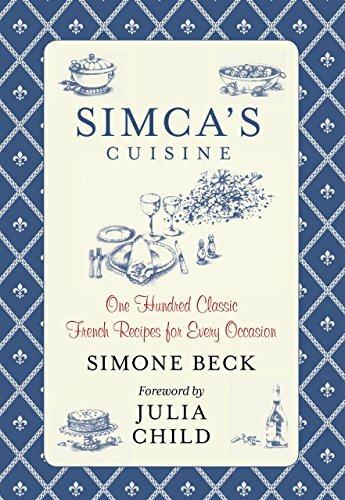 9780762792986 | Lyons Pr, November 5, 2013, cover price $27.50 | About this edition: Millions know Simone âSimcaâ Beck as Julia Childâs French partner in creating the two unforgettable volumes of Mastering the Art of French Cooking. 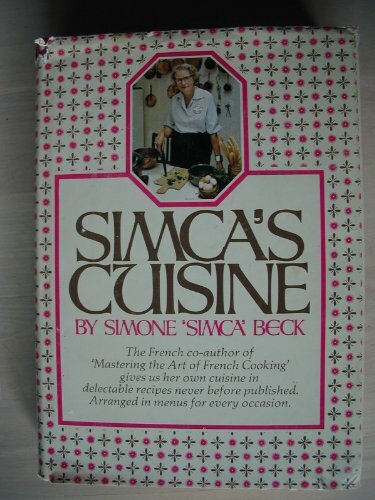 9781558217553 | Lyons Pr, August 1, 1998, cover price $16.95 | About this edition: Skillfully adapting her French methods to American needs, Simone "Simca" Beck presents over one hundred recipes in thirty-one alluring menus -- including specific wines and cheeses -- from the informal Menu for All Seasons of pork braised with bourbon, sauteed broccoli, and frozen chocolate mousse with meringue, to the more formal Gala Sunday Lunch of broiled trout with tarragon cream sauce, small whole broiled tomatoes, and orange tart. 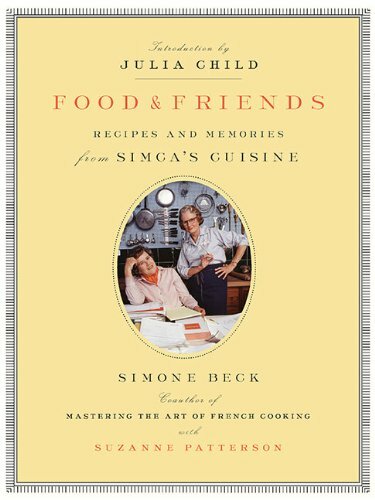 9780670839346 | Viking Pr, August 1, 1991, cover price $30.00 | About this edition: View recipes from Food and Friends. 9780140178173 | Reprint edition (Penguin USA, November 1, 1993), cover price $25.00 | About this edition: View recipes from Food and Friends.